So developing the securities market is a key task of the government to enable companies to efficiently raise capital. SGGP Finance & Investment speaks with Dr Vu Bang, former chairman of the State Securities Commission and member of the Economic Advisory Group of the Prime Minister (photo). He points out that the total outstanding loans in the banking system is around VND7,500 trillion (US$323.2 billion), equivalent to 130 percent of GDP, while the stock market capitalisation is just VND3,000 trillion. But the government has mandated that banks should reduce their ratio of long-term loans given from short-term deposits from 45 percent in 2018 to 40 percent this year, and capped their credit growth this year at 14 percent. SGGP Finance & Investment: - Why is the stock still far below the banking system as an avenue for raising capital? DR. VU BANG: - The Vietnamese stock market has grown strongly recently, achieving all the government’s targets. However, there are many challenges to developing the stock market to make it the key funding channel for the economy and gradually replace banks. 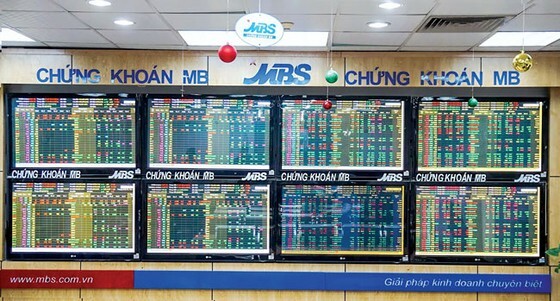 To successfully raise funds through the stock market, Vietnamese enterprises, especially public, should strictly adopt international management standards. Not meeting these standards is also a reason why most Vietnamese companies favour borrowing from banks rather than raising money from the stock market. The first challenge comes from the current small size of the Vietnamese stock market. Companies are still small, their quality is modest and the number of investors in the stock market is limited. Not many listed companies are successful in attracting investors’ attraction because of not meeting their investment criteria. Hence, speeding up the process of SOE privatisation and listing new companies from attractive industries is important to attract foreign investors. Currently, the privatisation activities are slow because most SOEs are related to public lands, and it takes time to resolve these constraints. Secondly, Vietnam enterprises have certain weaknesses. When the enterprises do not have belief in themselves, how will investors? The government has been providing public funds to enterprises for a long time, and this has made them lazy and not seek long-term growth strategies. That is why most are short-term investors in the stock market: they invest for a one-time profit and exit quickly. Frankly speaking, Vietnam’s financial system is still weak compared to neighbouring countries, especially the funding aspect. The structure of the bond market is imbalanced. The availability of short-term funds is high while that of long-term funds is low, resulting in a shortage of capital for sustainable long-term growth. The capital market is mainly dependent on the banking system. However, the growth of the credit market is not stable, capital flows are ineffective and the resource allocation to various sectors is imbalanced. The dearth of domestic funding also creates a dependence on foreign investment activities as shown by the Vinamilk and Sabeco deals. Developing the securities market is a key task of the government. - What should we do to make the stock market the main source of capital for the economy? - What I am thinking about now are solutions to developing the corporate bond market. Currently the outstanding value of corporate bonds is just 9 percent of GDP, very low compared to the 22 percent in neighbouring countries. Lack of investors’ confidence in the information disclosed is the reason for the underdevelopment of the corporate bond market. For example, few companies follow the IFRS (international financial reporting standards) in presenting their financial statements. To improve the enterprises’ corporate governance, the government should establish a direction committee including ministries and localities. The government should take the Ministry of Finance and State Capital Investment Committee as the key directors. The Direction Committee should focus on corporate governance of banks and SOEs. This makes investors cautious while making investment decisions because they do not fully understand the value of the assets, the financial results and the future prospects of the company. Corporate governance is another issue for Vietnam’s enterprises. According to the IFC, the score for Vietnamese enterprises for corporate governance (based on OECD standards) is far below that of other ASEAN countries. In the short term we should ease the conditions for corporate bond issuance, but strengthen transparency. The most important things are enterprises’ transparency and operating quality. We should strictly respect the market rules. Using administrative tools will create some bottlenecks in capital flows. We should also develop the secondary market for trading bonds and other debt tools. - What is the role of corporate governance in enterprises’ ability to raise funding and improve productivity? - As I said, the role of corporate governance is very important in increasing workers’ productivity and implementing the company’s long-term strategies. Unlike individual investors, funds usually buy and hold for the long term. These investors in turn also help improve a company’s corporate governance. After the last global recession, companies now focus more on corporate governance. The more difficult the financial status is, the more enterprises have to pay attention to their management. Corporate governance is the key to improving the efficiency of enterprises and their productivity. Currently, the challenge to improving corporate governance is directors’ perceptions. Some enterprises refuse to adopt international standards because the directors hesitate to disclose information. They think the more they disclose, the more they will be supervised and the more they will lose control over their companies. The solution to this issue is the government should amend both enterprises and securities laws. The government should use the market mechanism to manage enterprises to improve risk management and efficiency. The government should help enterprises improve their knowledge of enterprises and securities laws, and strictly enforce these laws. It is also needed to improve listing standards. Good corporate governance should be an imperative if companies want to list on the stock exchange. The government should have ratings for corporate governance to motivate enterprises to adopt uniform rules for management. - What do you think about the good signals from the stock market currently? - The market upgrade plays a very important role in attracting foreign investment. In 2018 Vietnam failed to qualify for the MSCI, but was successful in entering the watch list of FTSE for upgrading from frontier market to emerging market. This is a good sign. The National Assembly will review the Securities Law at its mid-year meeting. If the foreign ownership issue is still not resolved completely and the ownership cap is not truly opened, Vietnam will again fail to make it to the MSCI watch list this year. To completely resolve this issue, the government should revise the Investment Law because it underpins all the other laws. The government should amend the laws in such a way as to attract more foreign investment and improve the transparency of the stock market to make it a key source of funding for enterprises.